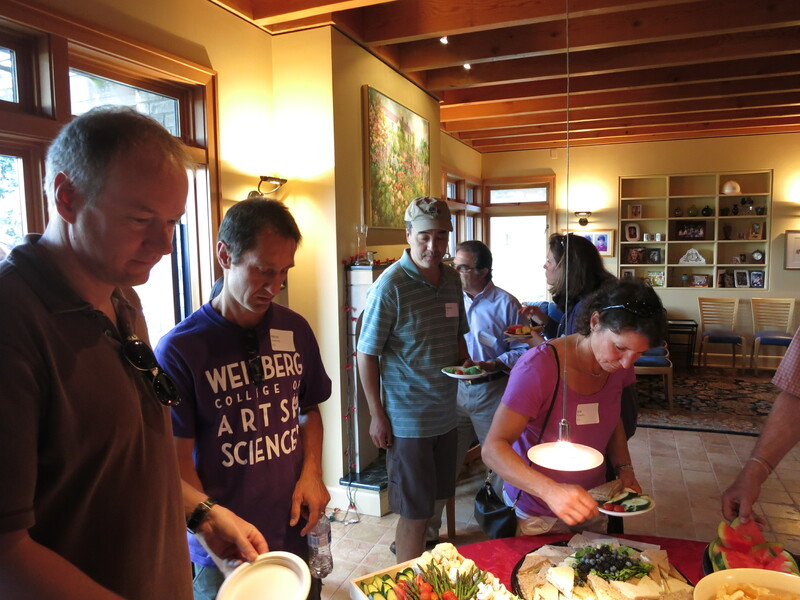 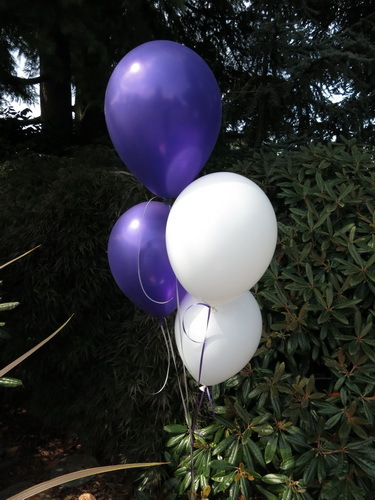 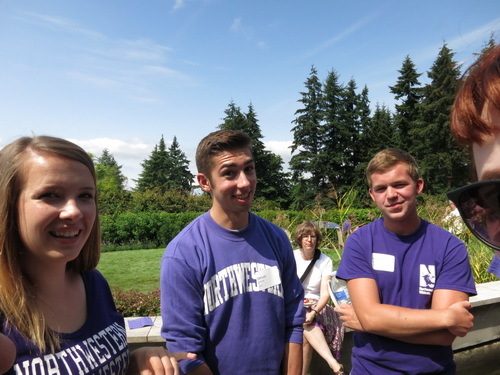 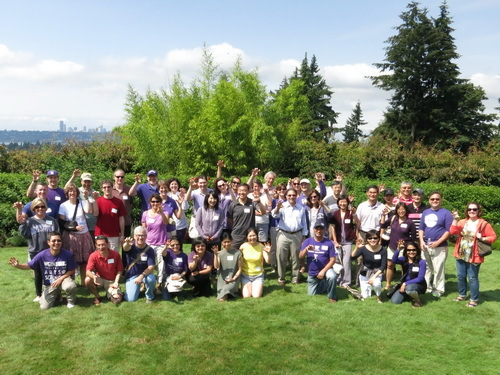 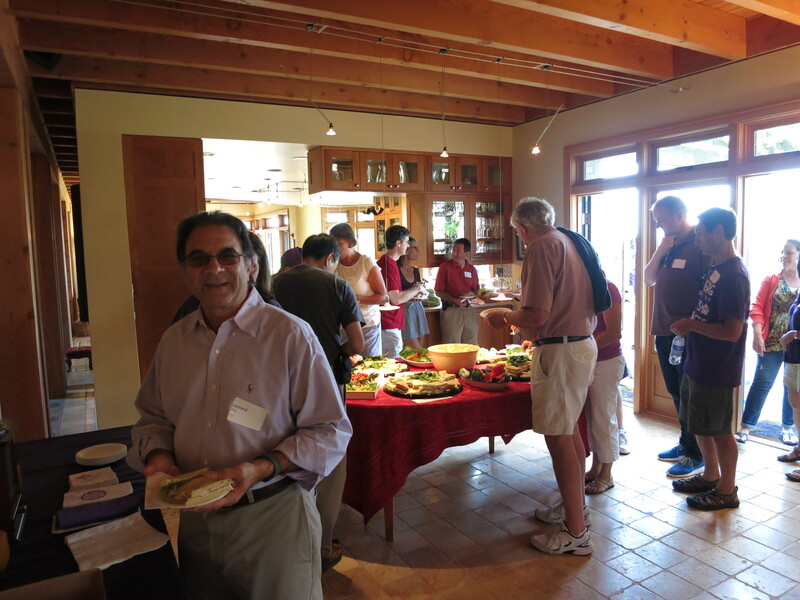 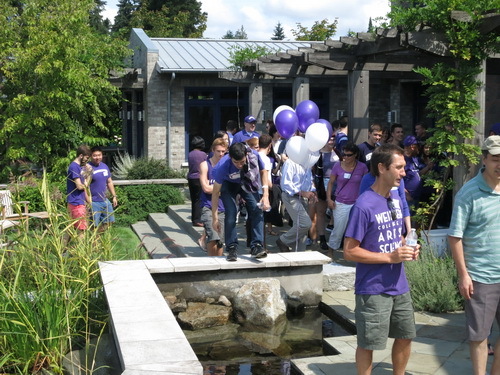 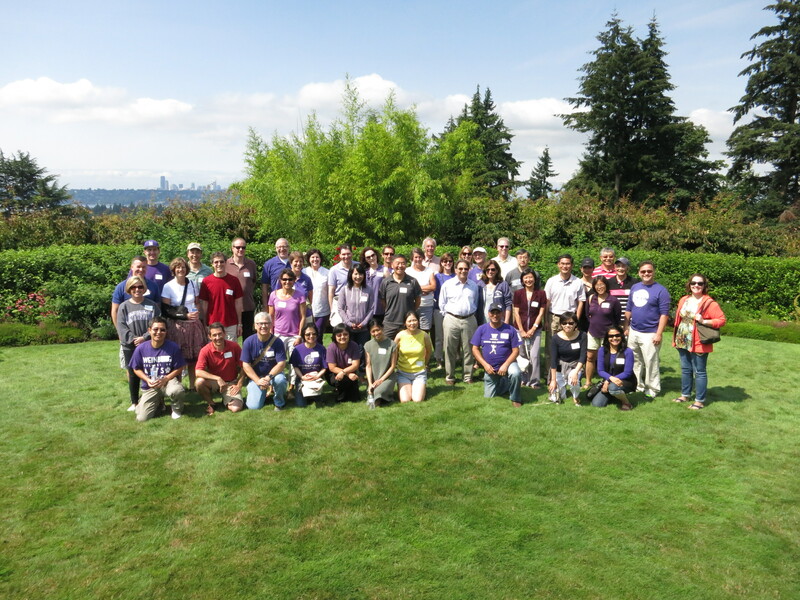 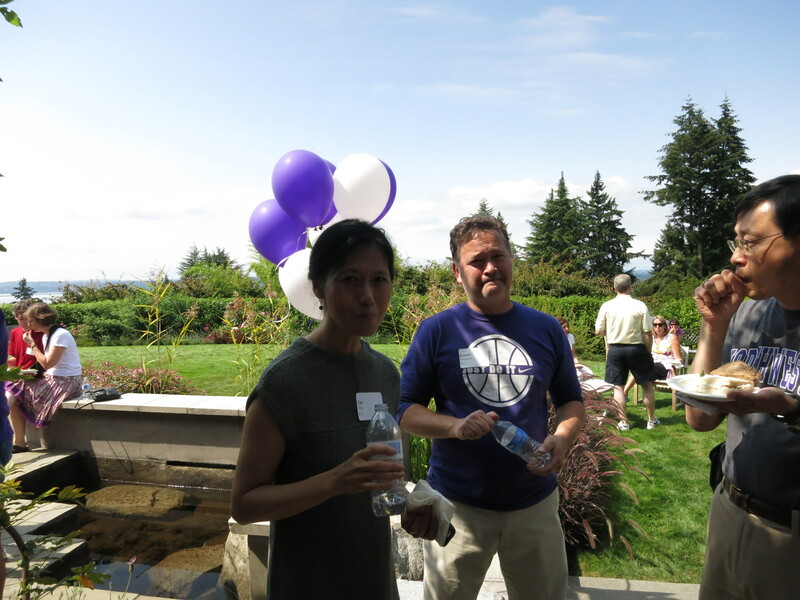 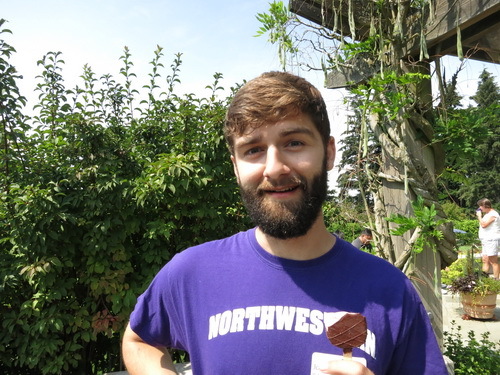 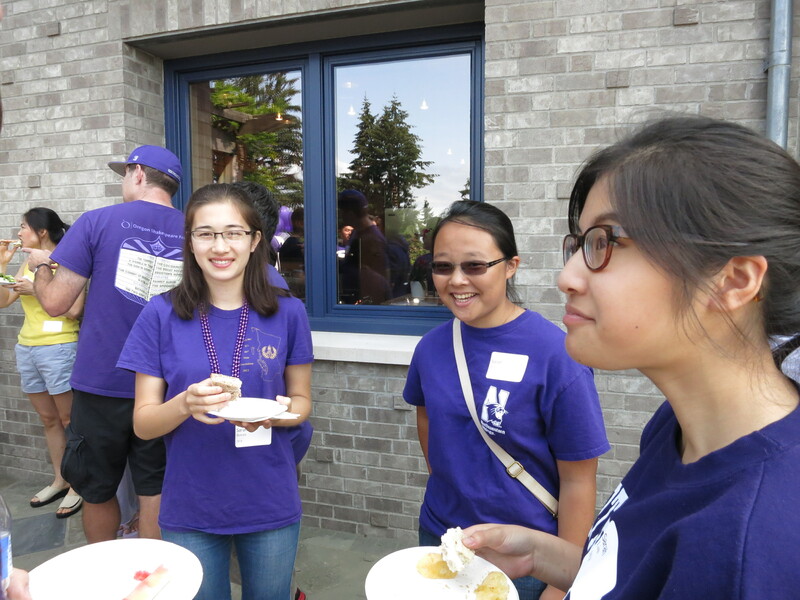 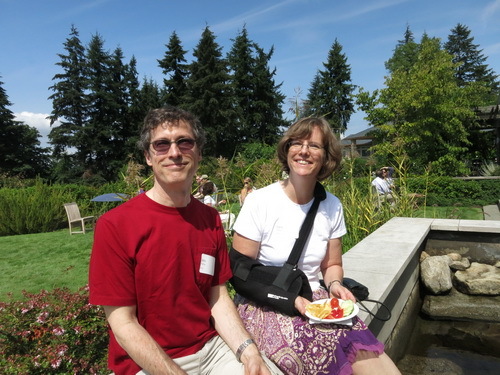 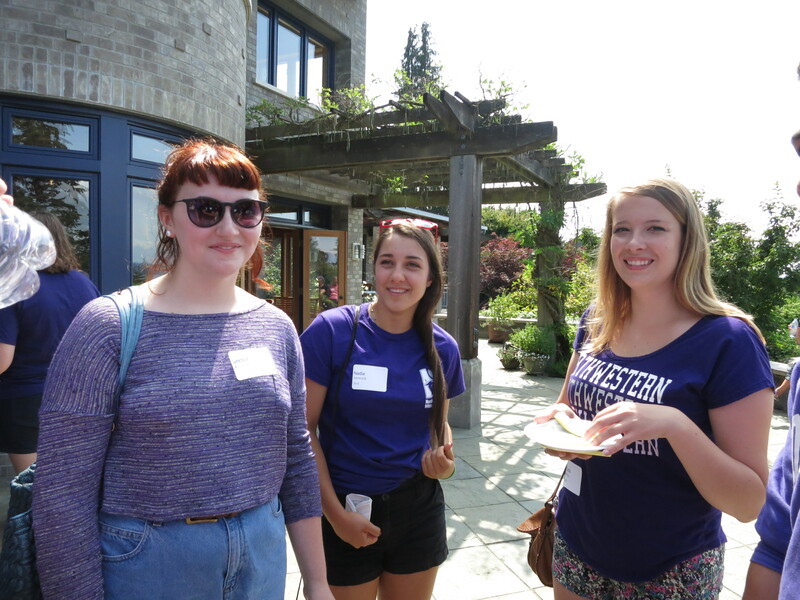 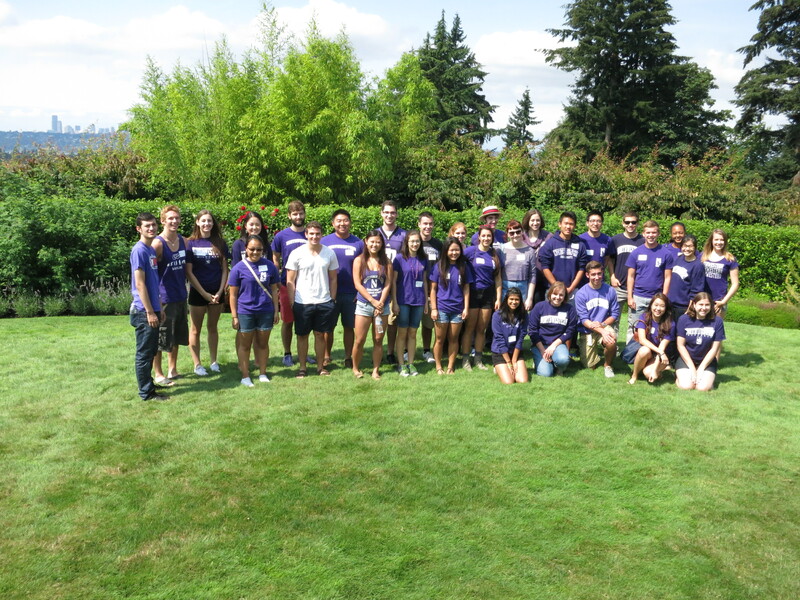 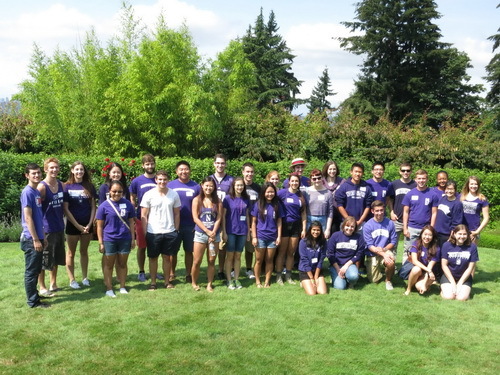 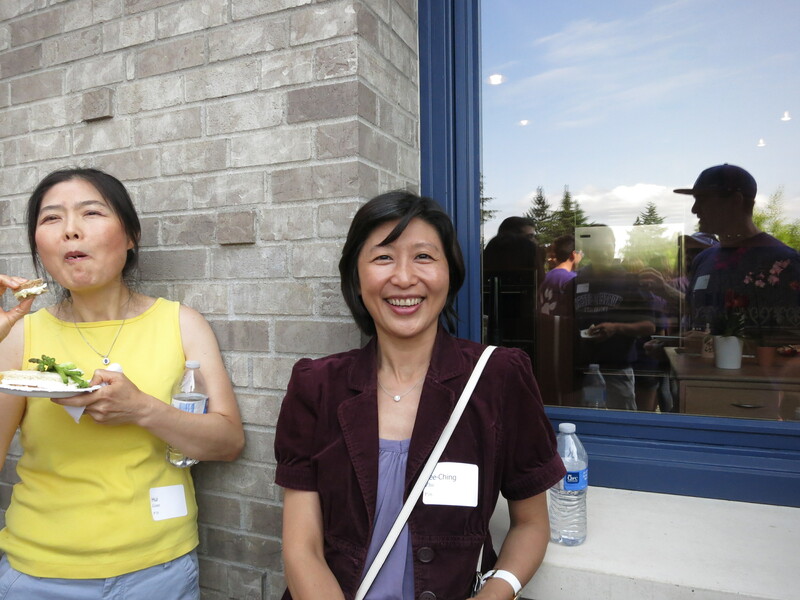 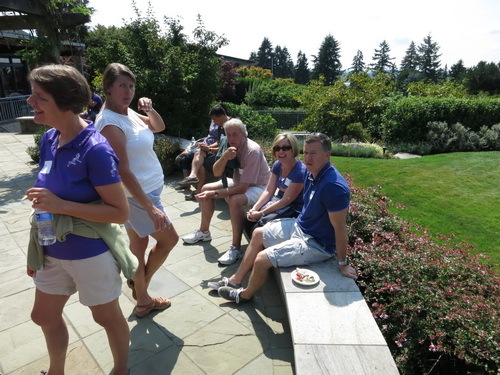 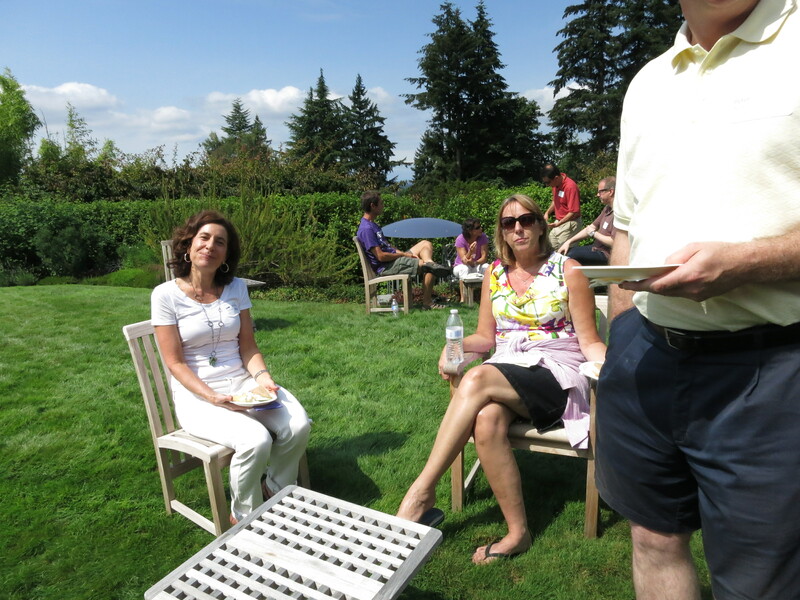 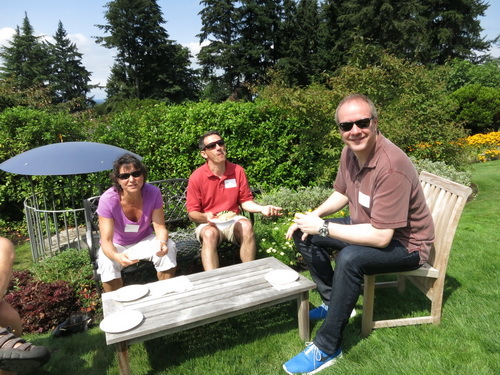 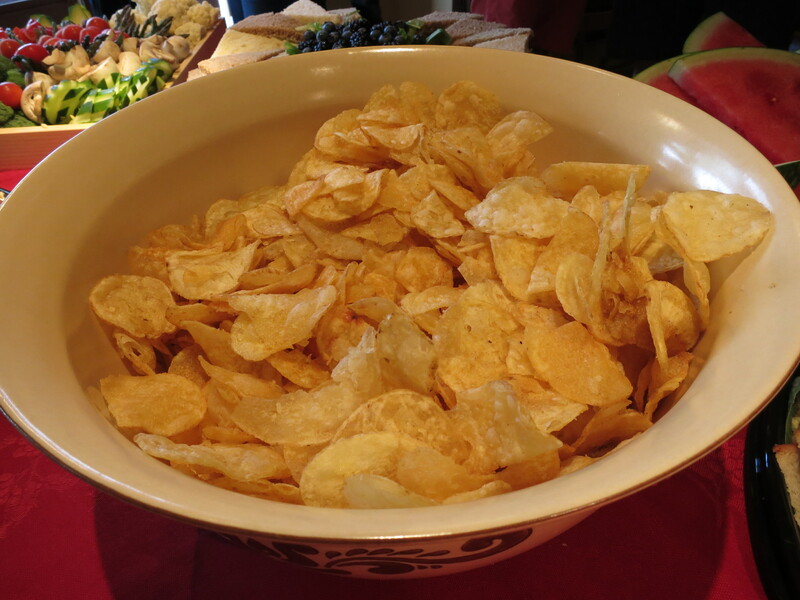 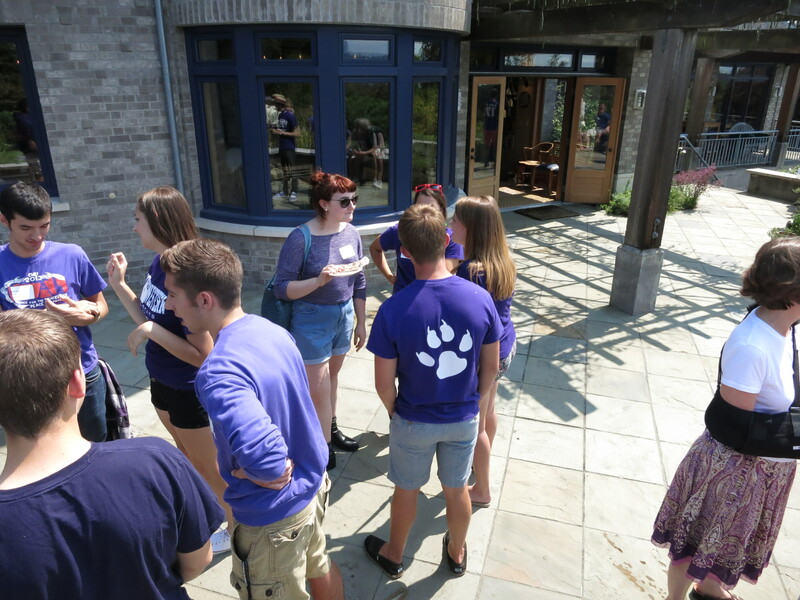 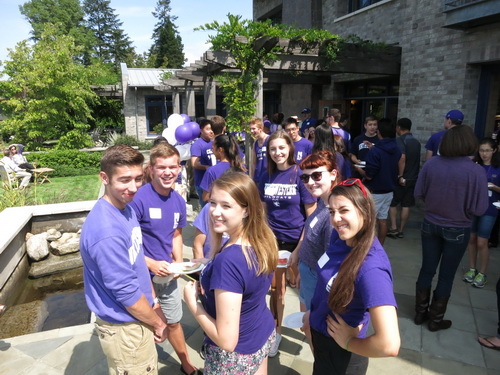 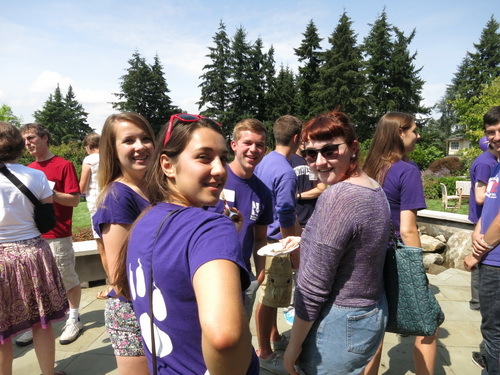 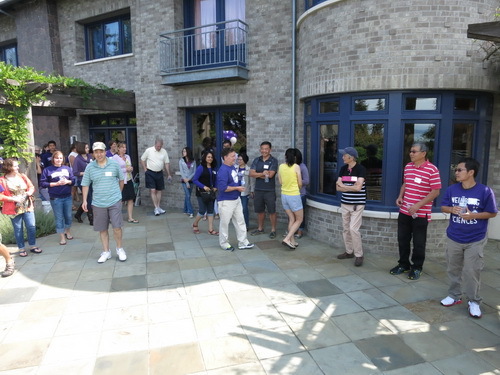 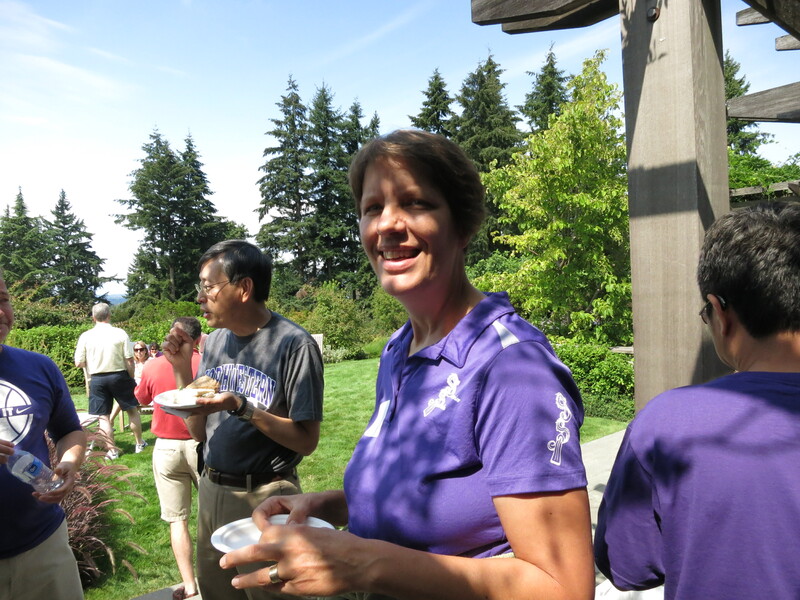 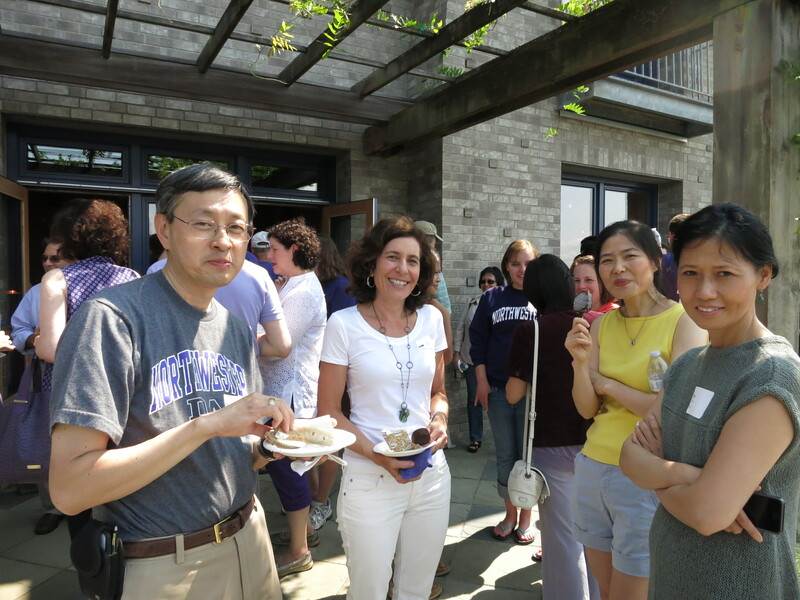 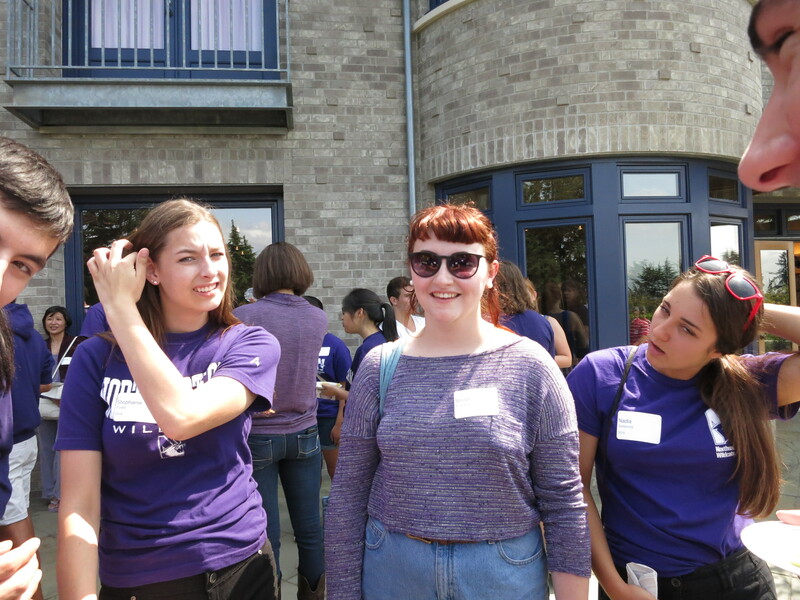 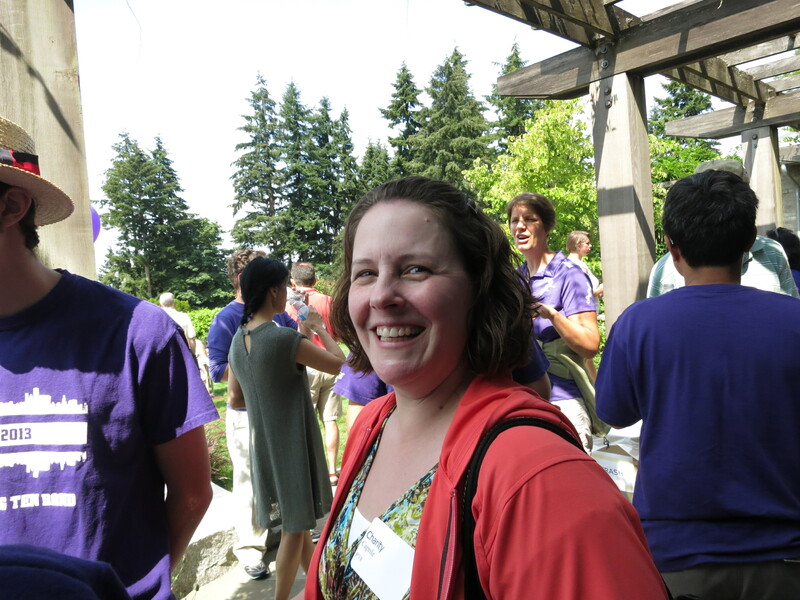 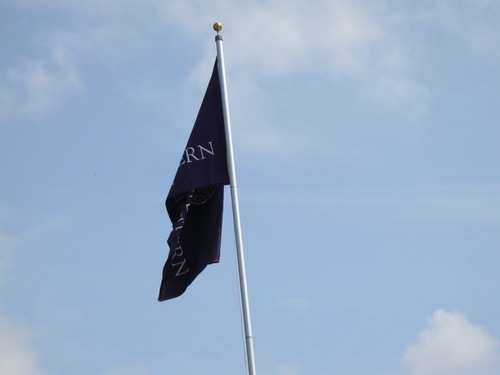 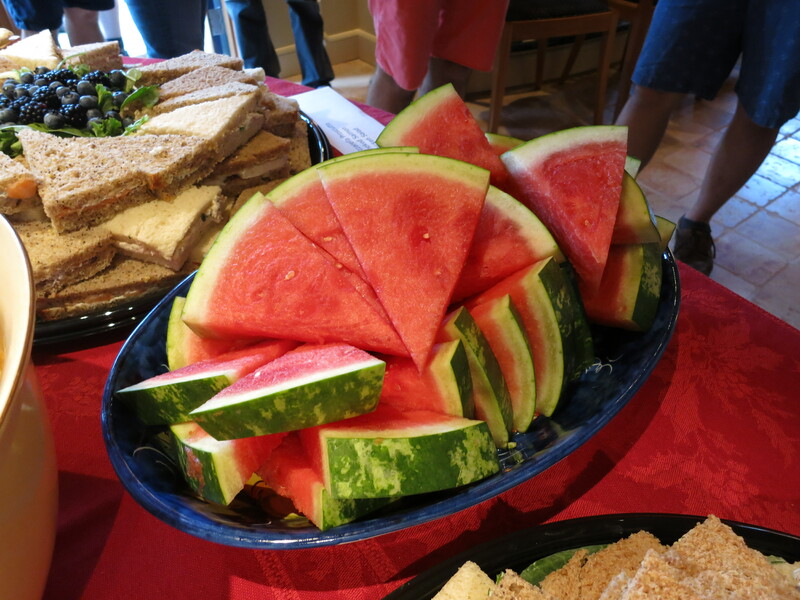 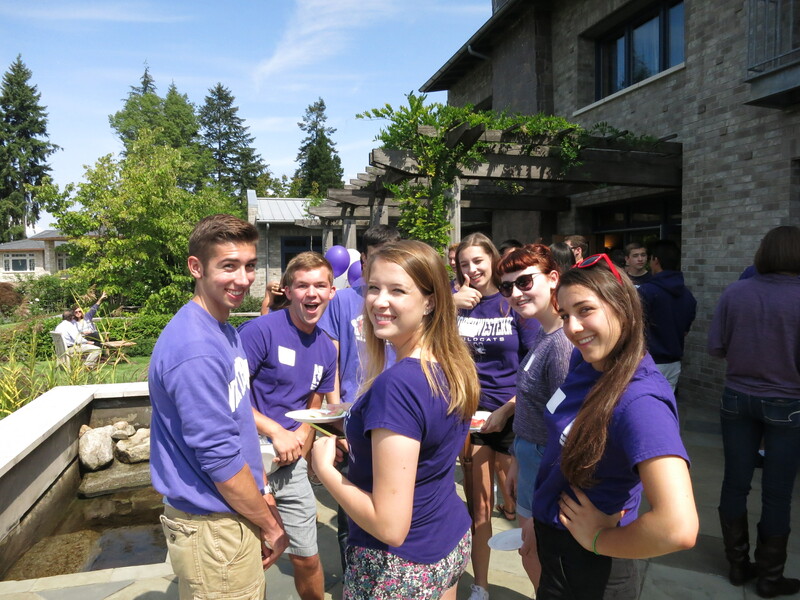 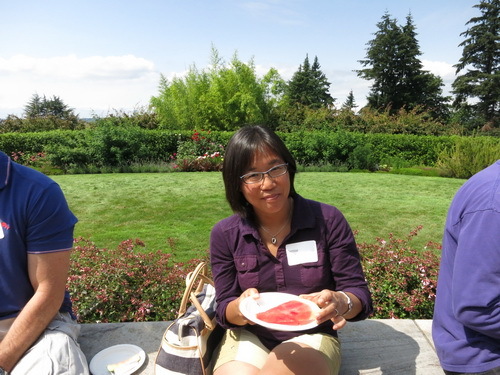 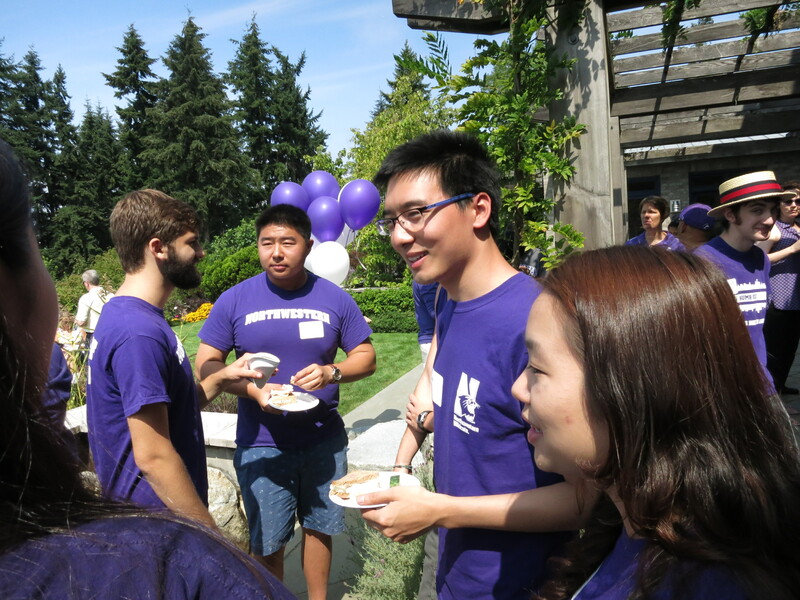 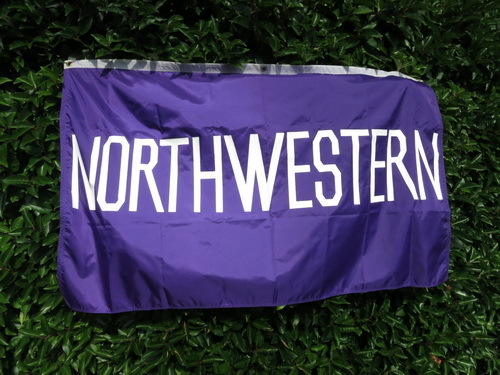 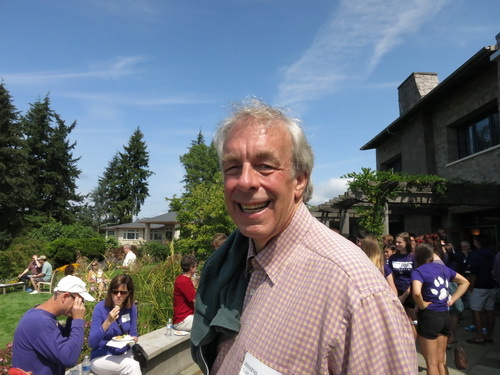 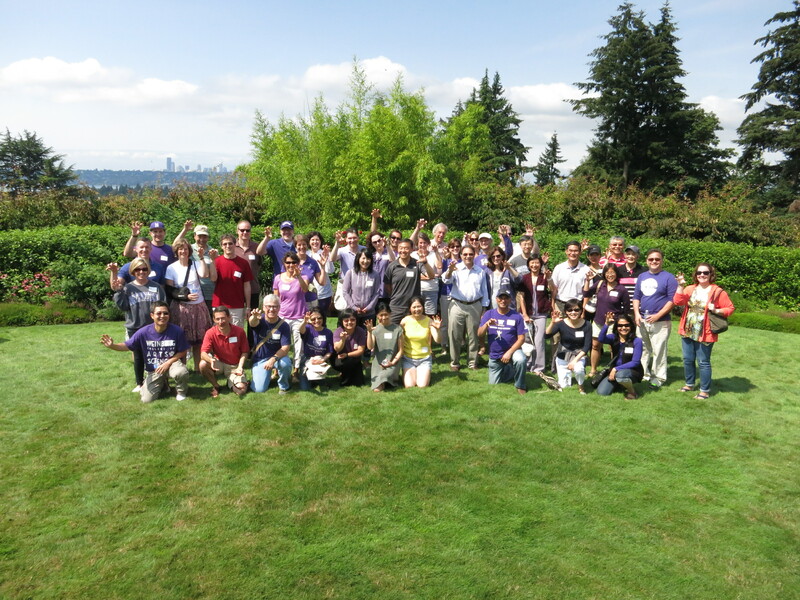 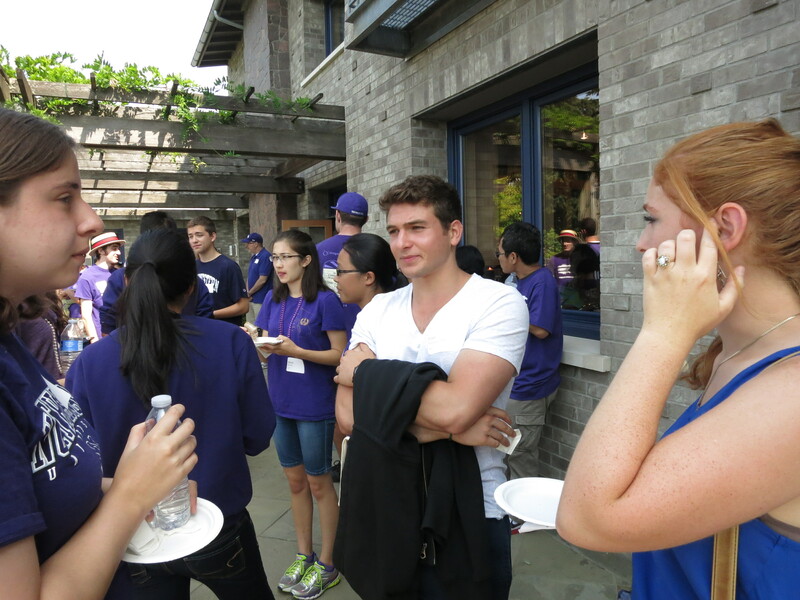 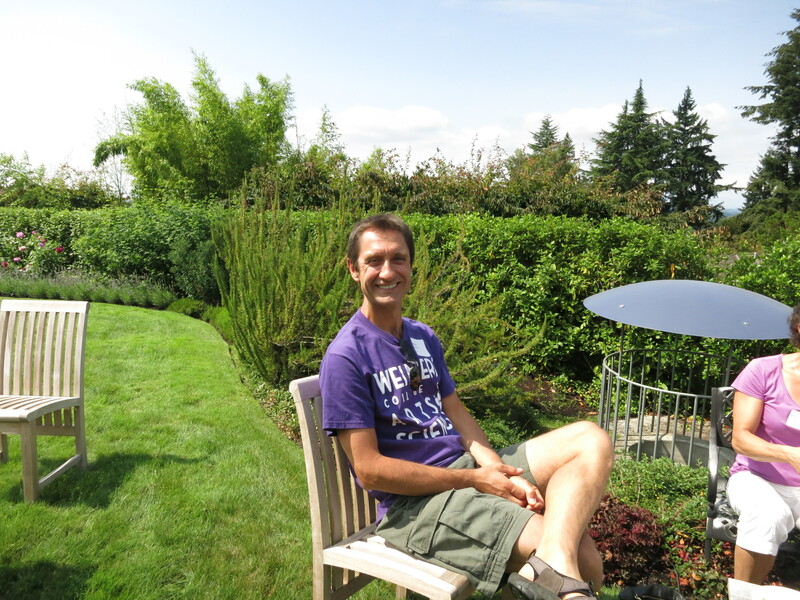 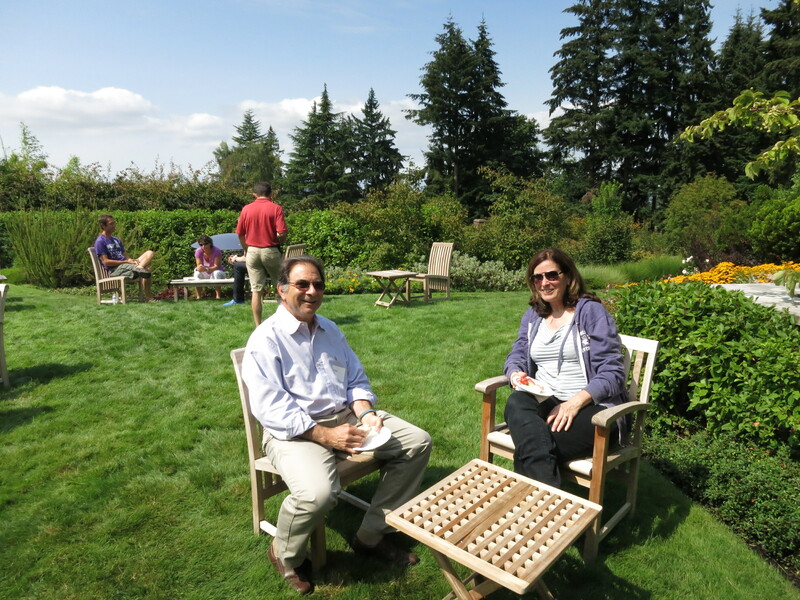 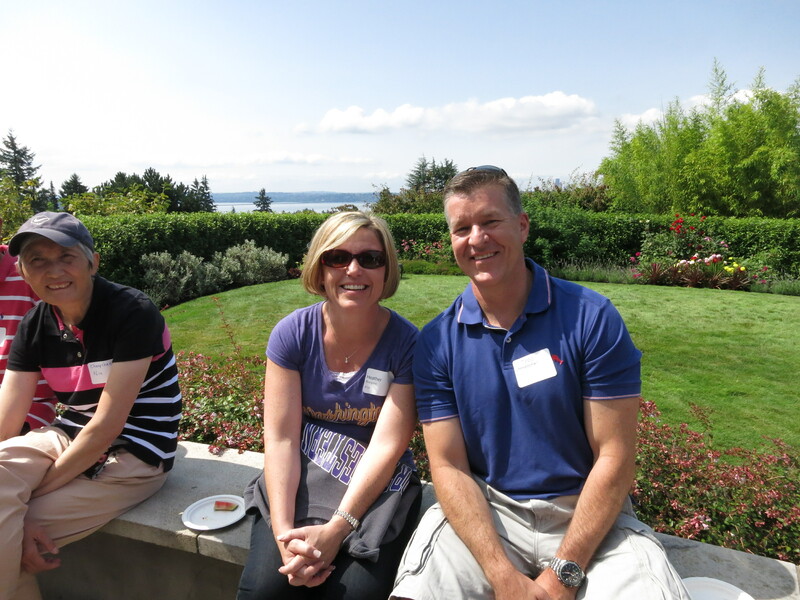 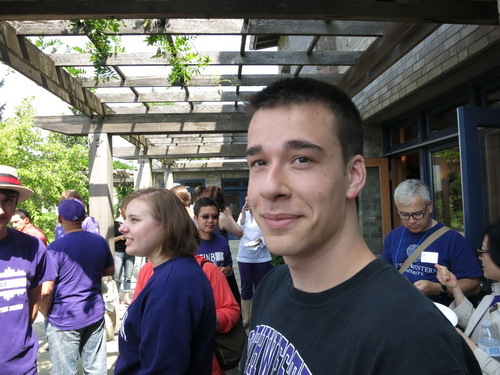 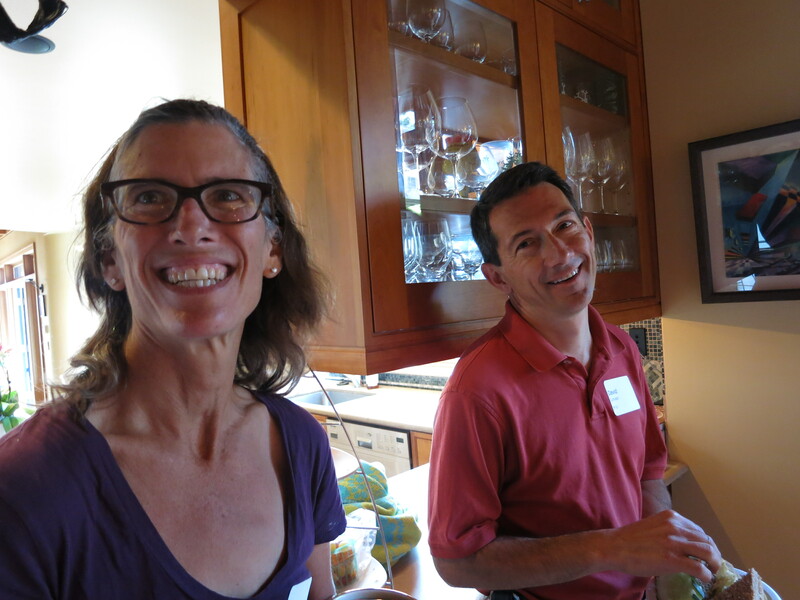 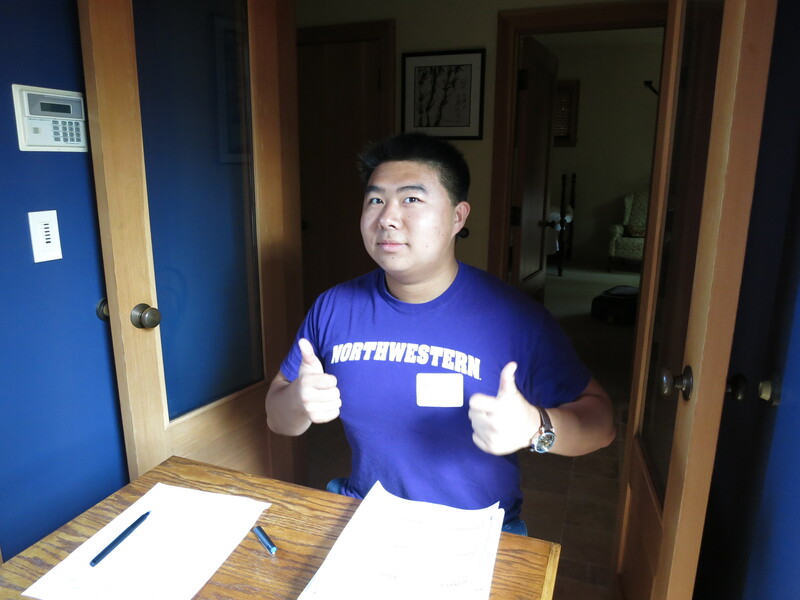 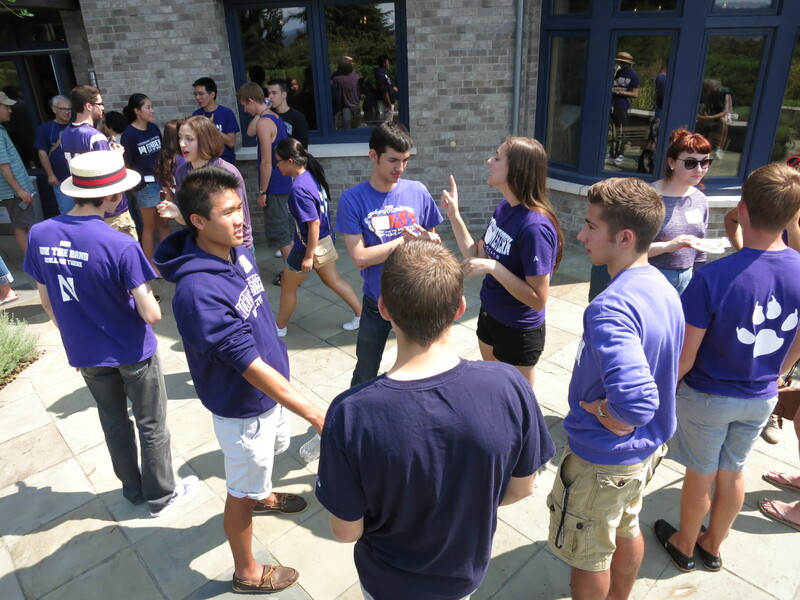 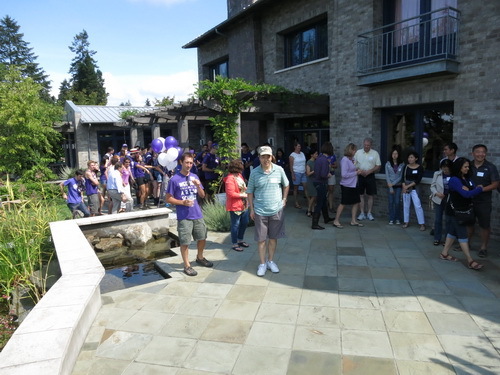 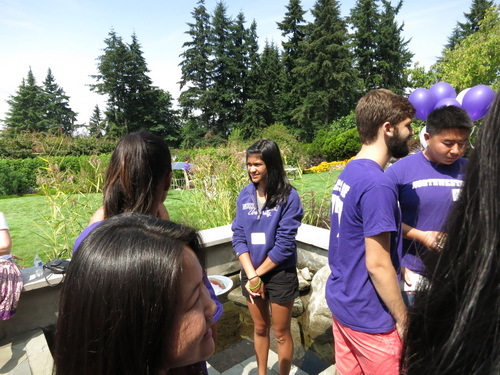 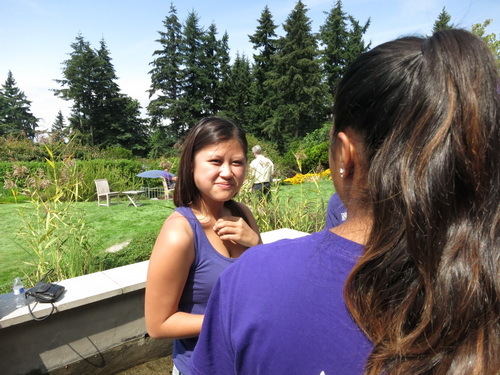 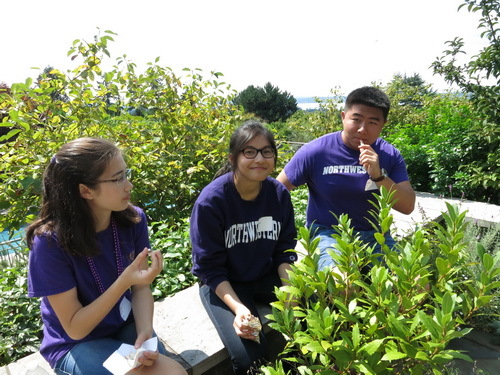 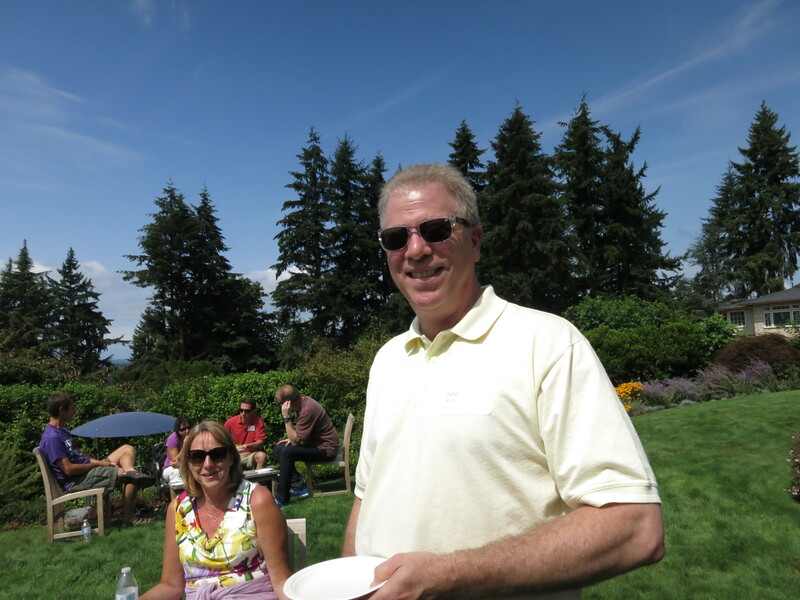 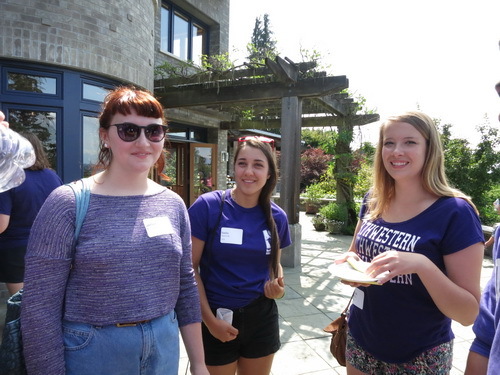 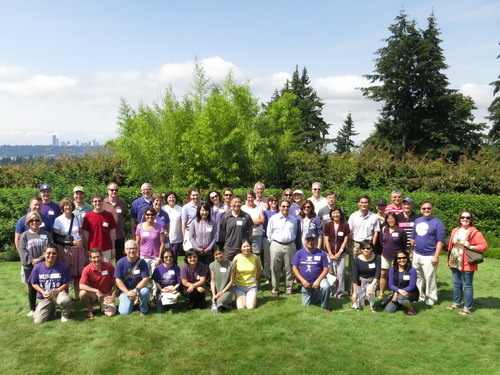 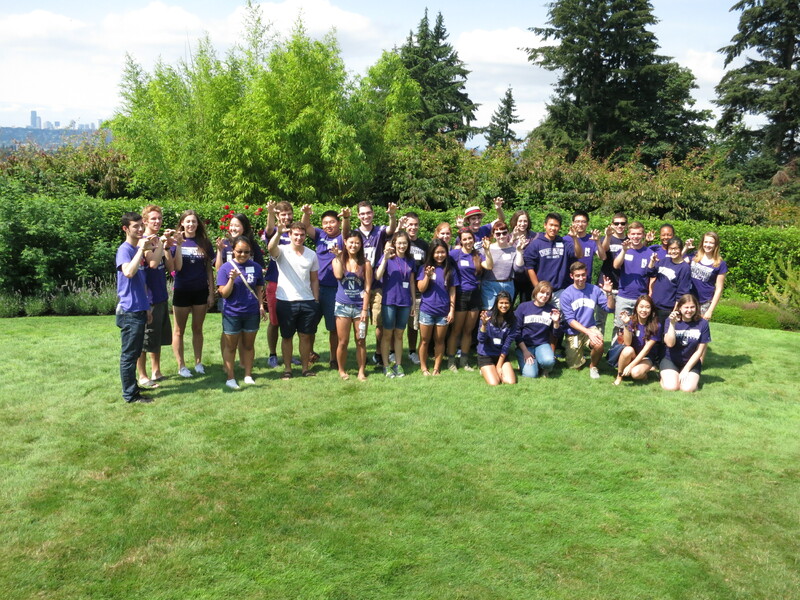 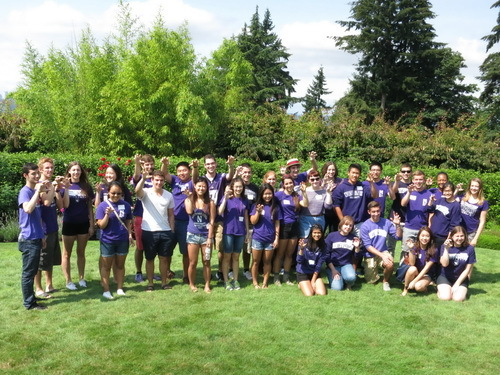 We had 76 people over for our 13th annual end-of-summer party to welcome the entering Northwestern University Class of 2018 from Washington State: 21 freshmen, 6 sophomores, 1 junior, 44 parents, 1 sibling, and 4 alumni (1982, 1985, 1987, and 1988). 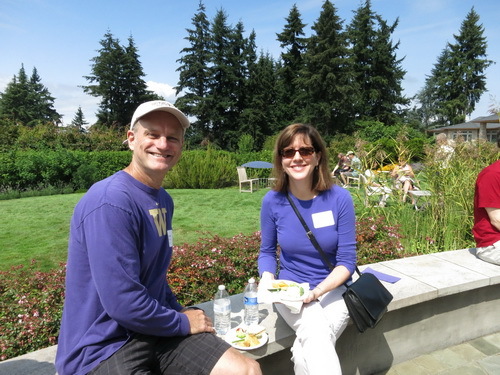 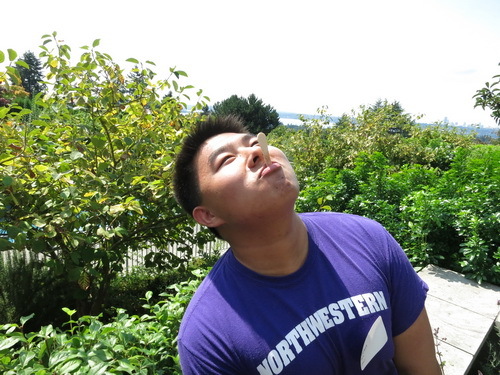 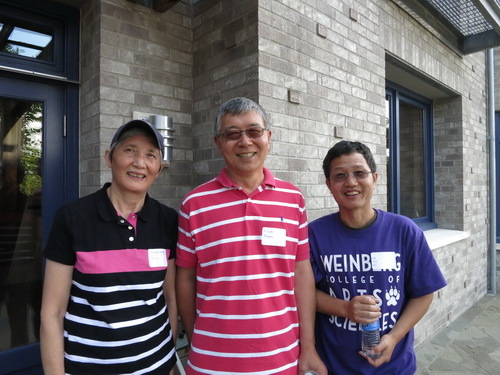 Two of the alumni were the parents of incoming freshmen, and we had 1 Trustee. The morning started out cloudy but the sun came out and it warmed up into the low 70s by 2:00 P.M. Very nice! 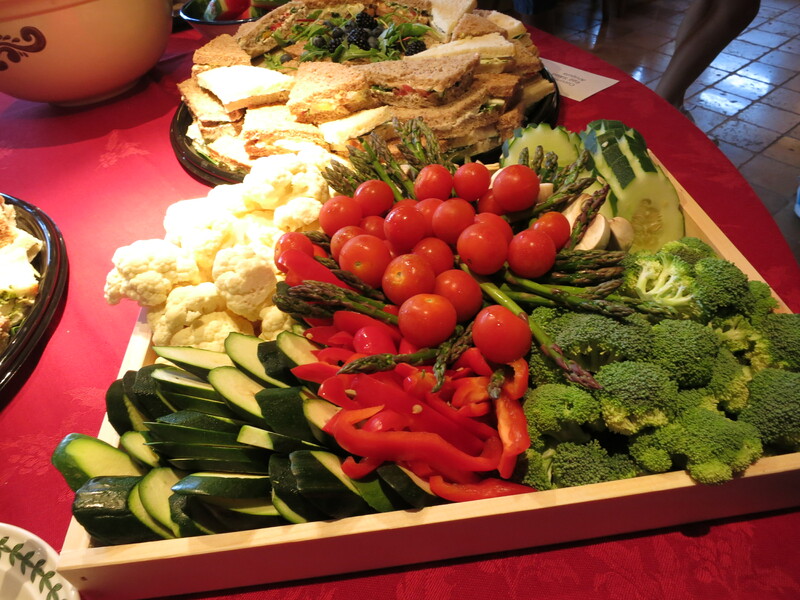 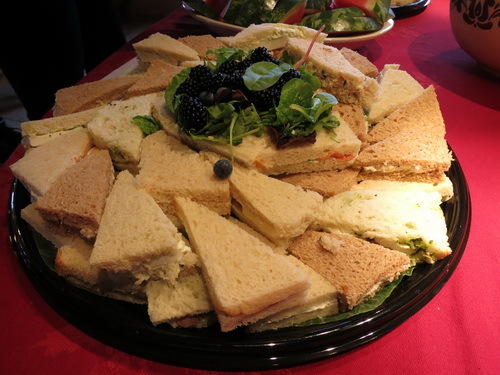 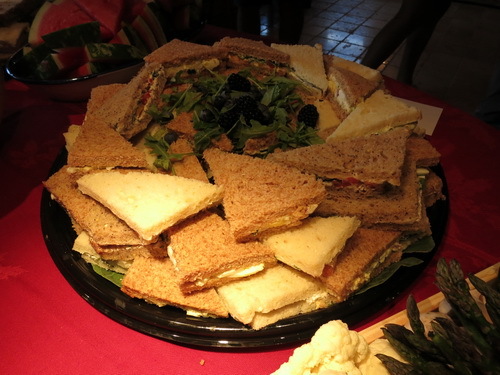 We enjoyed Cucumber Mint, Egg Salad, Arugula, Mozzarella Prosciutto, Smoked Salmon, and Chicken Salad Tea Sandwiches from Whole Foods Market in Bellevue along with potato chips, bottled water, and two flavors of Häagen-Dazs ice cream bars: chocolate dark chocolate, and pomegranate dark chocolate. Last updated Saturday, August 16th, 2014.